Make your church or business stand out above the rest! In today’s world, if you don’t have a website it’s like you don’t exist. Let Higher Designs help you to set up a high quality website to advertise your business, let potential customers know about your services and products, and provide a two-way channel of communication between you and your target audience. We can also help you expand your current market by creating for you eCommerce solutions that will allow you to sell goods and services 24 hours a day. 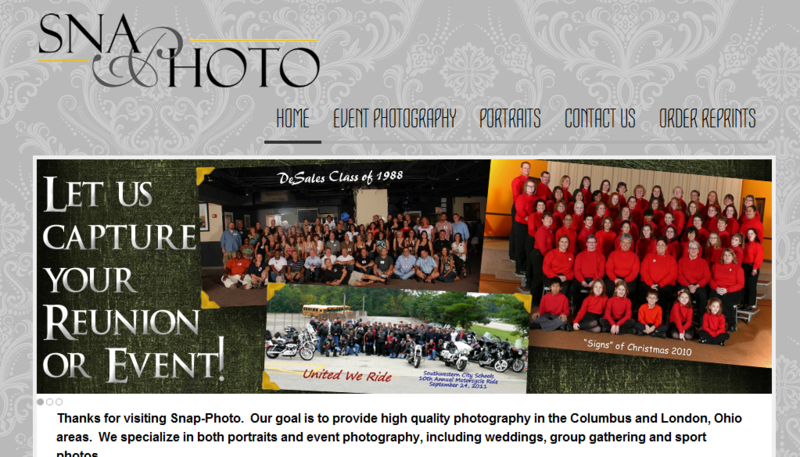 Below are some sample images of websites that we have designed. 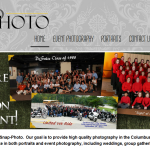 A custom made website that includes a logo and other site graphics design by Higher Designs. 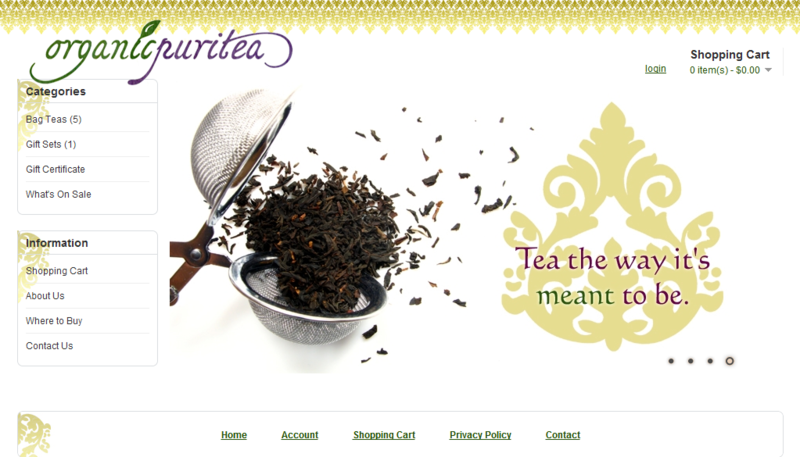 Organic Puritea. 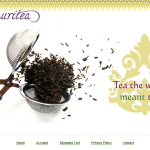 Local business selling organic tea blends. 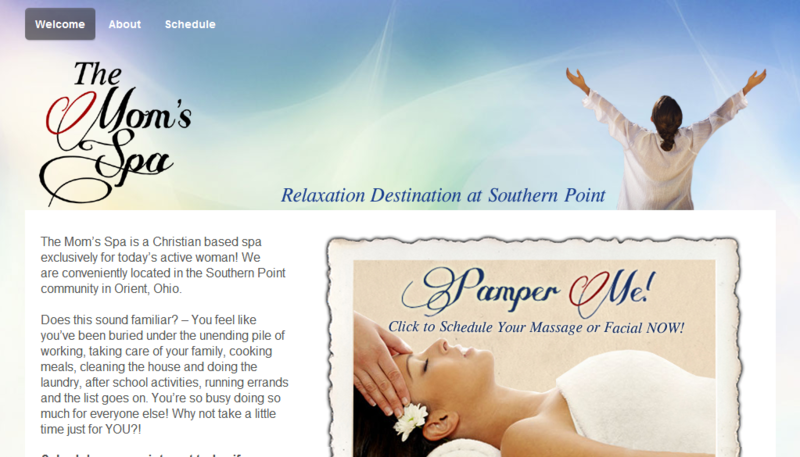 The Mom’s Spa. A small spa exclusively for women designed to cater towards busy moms. 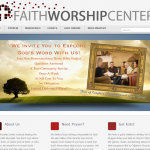 Faith Worship Center. 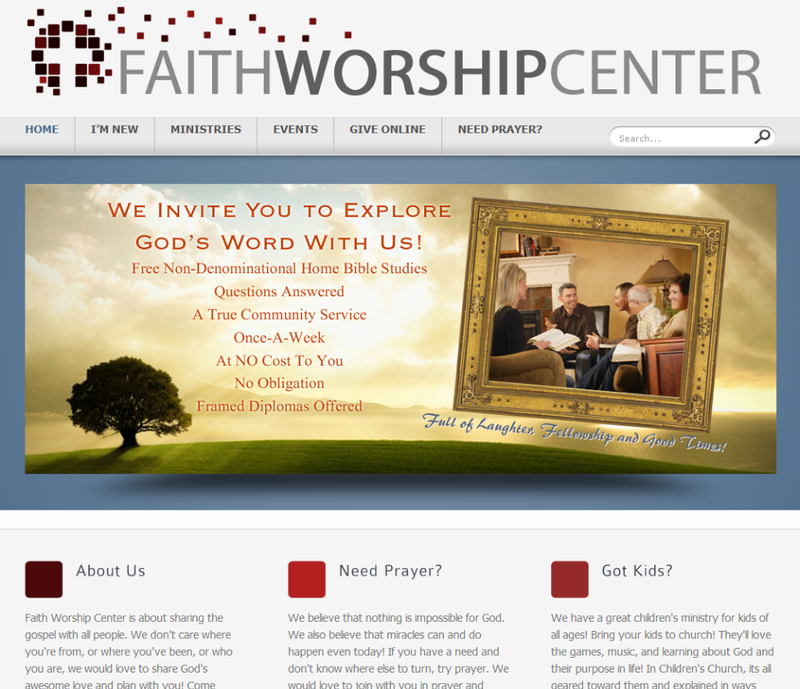 A local church looking to make an impression with a bold yet professional web presence. To get started with your own custom made website use the Contact form on the right!